Date completed: 25th July 2017. 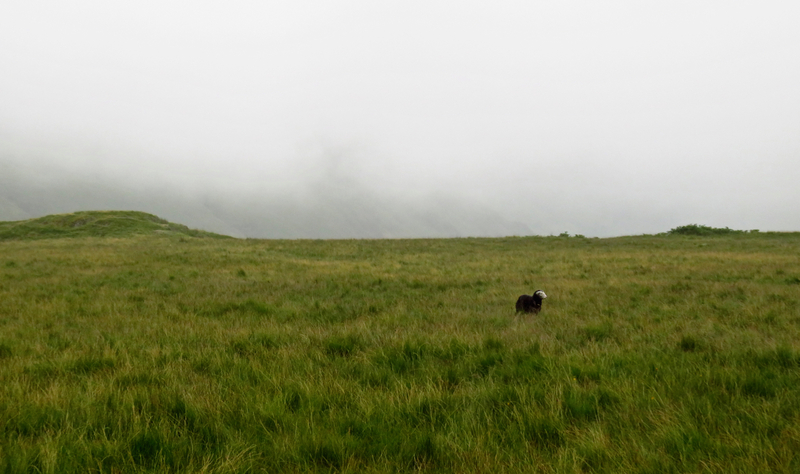 Weather conditions: A little disappointing, with cloud covering the tops above about 1500’ and a damp mizzle in the air, although this began to clear later on and the evening (spent in Ambleside) saw clear blue skies. Damp bracken also added to the day’s moisture quotient. Summits bagged: Hard Knott (1803 feet above sea level, number 106 of my second round), Cold Pike (2300’, no. 107). These two feels were previously bagged on different, but consecutive walks in August 2012: Hard Knott on walk 63, and Cold Pike on walk 64. 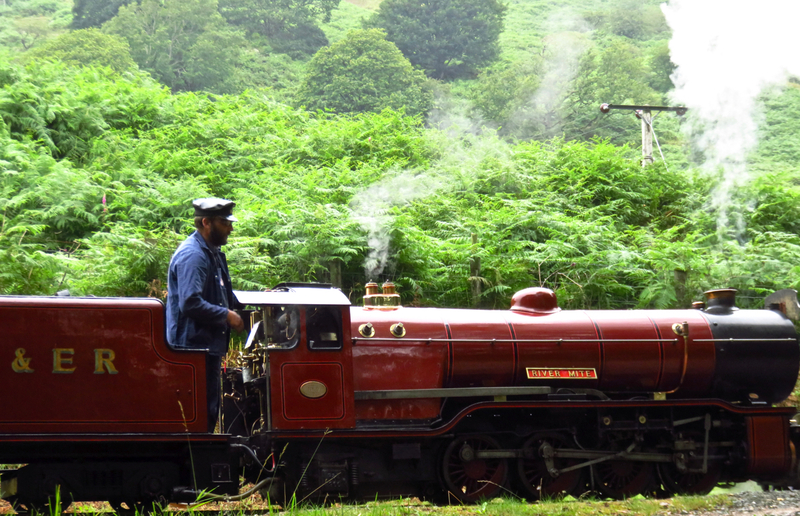 Start and end point: Started at Beckfoot station on the Ravenglass and Eskdale Railway (pictured). Finished at the Old Dungeon Ghyll hotel in Great Langdale, from where a #516 bus can be caught back to Ambleside. The walk fitted between the 11:05 arrival at Beckfoot (this train had departed Ravenglass at 10:25) and the 17:15 bus departure from Dungeon Ghyll — which I made with literally a minute to spare. There is a later bus at 19:05 if necessary. However, due to the times of bus and train connections, this is a walk only accessible to those staying in Cumbria or north Lancashire. Distance walked: 10.2 miles approximately. Total ascent: 3000 feet approximately. Pub at end: Due to arriving at the bus stop with about sixty seconds to spare I had no time for a pint of Old Peculier at the Old Dungeon Ghyll. My post-walk beers were therefore had at the Royal Oak in Ambleside, where we also ate dinner. The menu is not extensive but we certainly ended up with three thoroughly clean plates and the beer was good too. Route: This walk was quite hard work and felt longer than the measured distance (though that is correct as far as I can establish). This is for two main reasons. First, the two fells are ascended separately with a descent right down to valley level between, so there’s a lot of climbing. Second, the routes up each are largely unfrequented and pathless, and the ground is hard to negotiate. It is probably worth avoiding this walk in August – October due to a rampant coverage of bracken: it was just about tolerable when I did it but some sections were becoming difficult. On a normal day there’ll be good views, though I didn’t see them due to cloud. Starting at Beckfoot station rather than the R&ER terminus at Dalegarth was done purely to save a few minutes of time; it makes little difference to the walking as whichever station you get off at, you need to head down the road a few hundred yards to the lane, signposted ‘Dalegarth Force’, which branches off the road opposite what looks very much like a former schoolhouse.Take the next path off to the left then just follow the signs, first to St Catherine’s Church, then Doctor Bridge, where cross the Esk and take the lane to Penny Hill, then through the woods to Jubilee Bridge. All this is done to avoid walking on the main road through Eskdale which is busy and unsafe for pedestrians. However, this is not as frequented a route as you might imagine, and is also the section with the worst bracken, particularly from Penny Hill onwards. At Jubilee Bridge walk up the road a short way then go through the gate on the left and turn right up the hill. 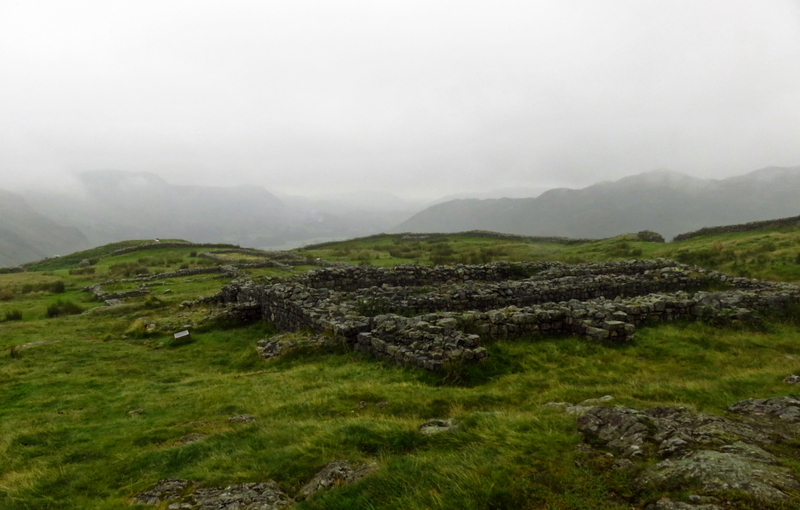 This ascends to the Roman fort of Hardknott Castle, which is a spectacular and atmospheric spot, even in the drizzle. If you are following my schedule you may as well have lunch here and take a bit of time to have a look around, although don’t expect the Palatine Hill or anything. The ascent of Hard Knott is most easily accomplished by returning to the road and ascending from the top of the Pass, but I did that last time, so decided to try to pioneer my own route up the fell, via the top of Yew Crags. This is a quite feasible and safe route, but it’s pathless, and involves negotiating some steep (though grassy) slopes. It’s advantage over the ‘advertised’ route is the views it provides of Upper Eskdale and the Eskdale Needle, a very impressive stone pillar which looks like nothing as much as it does a factory chimney that happens to be sprouting out of a crag on the west side of the fell (see the picture). To replicate my route, head out of the upper exit of the fort, and bear left — there is no need to go as far as the parade ground. Yew Crags are obvious, and just above them is a grassy shelf, or terrace, which provides an easy(ish) route between them and the crags of Border End above. Go over the crags and traverse round the slope on the other side — some awkward going here — and cross the first deep gill you come to. 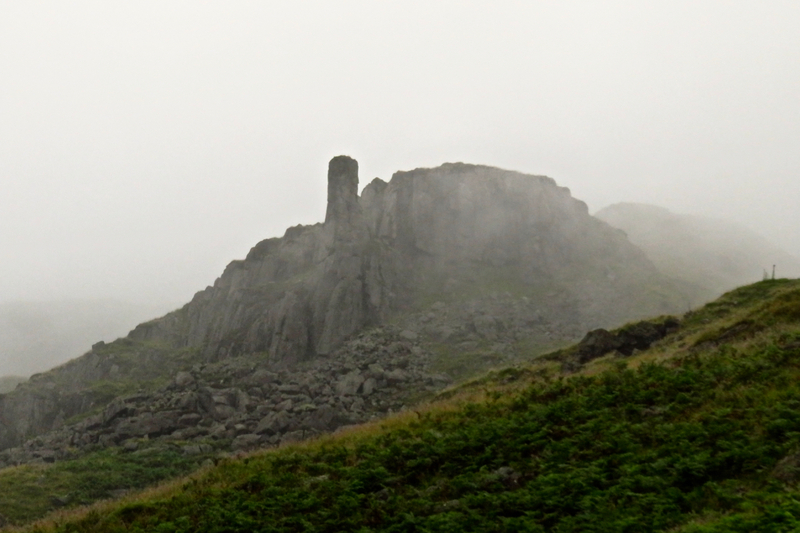 After rounding the shoulder, Eskdale Needle comes into view to permit orientation. It looks as if there is a route up to the summit plateau right by the Needle but I instead took the gill just a bit further south; that this stream will lead to the top is clearer from the OS map than it is from Wainwright’s. This will bring you out onto the path across the top of the fell just south of the summit, which stands on top of a rocky dome. 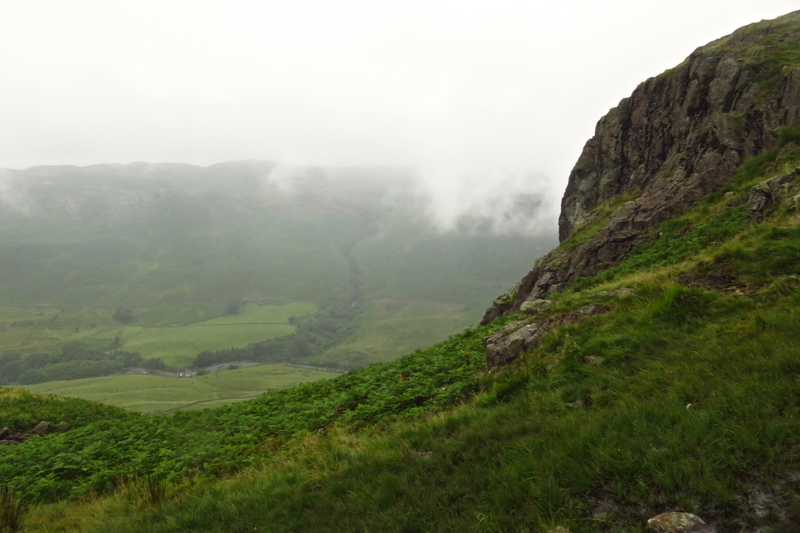 My original plan was to continue north from here into Eskdale but the poor weather put paid to that so I turned back south and descended to Hardknott Pass; this was not altogether easy in the mist, and you do need to be careful because Raven Crag bars the direct route. On two occasions here (both in mist) I have still seen no sign of the ‘scree run’ mentioned in Wainwright’s ascent description, but the key to the descent for me was the relatively broad and marshy valley that curves to the east (again, see the map); follow that down and the path becomes clear and leads, steeply but fairly quickly, to the cairn at the very top of the pass. From here, there is a non-road alternative route (see the OS map), but frankly I welcomed the chance to walk on drier ground for a time so followed the tarmac down the hairpins and zigzags of Hardknott Pass. This was OK on the day I did it but on a sunny Bank Holiday Monday you probably should stay off the road and take the alternative. At Cockley Beck, don’t cross the road bridge; you need to stay on the north side of the river Duddon as it runs along Wrynose Bottom, the valley ahead. You do need to cross Moasdale Beck though. There is a ford which you can use if it’s really low, or look for the (rather unsafe) footbridge across the beck, behind the wall. You need to get off the road as there’s nowhere to get across the young Duddon further up. According to the map, the path extending from the ford along the north bank of the river is the same Roman road that served Hardknott Castle, though you wouldn’t really know it on the ground, although at points, the remains of an embankment are clearly visible (and help keep your feet dry). The landholding of Gaitscale marked on the map is now just a ruin, nevertheless, it’s the key landmark to look for when seeking the route up Cold Pike. Go through the gate in the intake wall at its far (eastern) side, cross the beck and then begin the ascent on the right side of the stream as you look at it (actually it’s true left bank), heading for the row of prominent low crags called ‘Gaitkins’. A new fence provides direction, and also some welcome help hauling yourself up the slope. Where the fence takes a sharp turn left, head straight on, picking your way between two of the Gaitkins and then the summit of Cold Pike, with its various tors, is ahead. 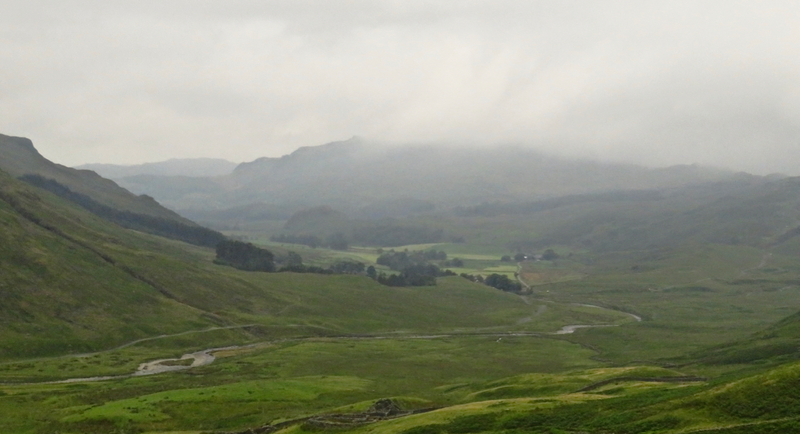 The highest point is on the northernmost outcrop, nearest Crinkle Crags. From here the destination is Red Tarn below, but don’t make a beeline for it because of crags. Head north until you can safely drop down onto the prominent Crinkle Crags path, turn right, then at the junction near the tarn, turn left. This path will take you all the way down to Stool End and Dungeon Ghyll. My descent time from Cold Pike summit to the bus stop was 1:15. 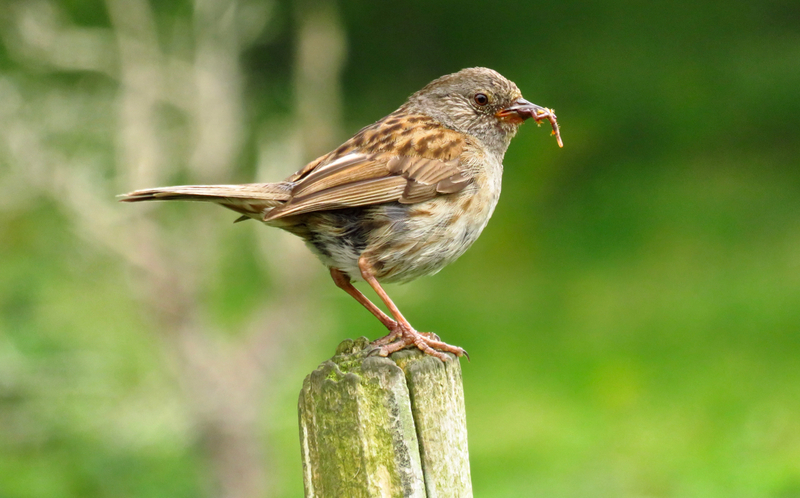 Holiday commentary: It would be lovely if all 330 of the Wainwrights were accessible, via public transport, in a day trip from home in West Yorkshire, but that’s just not the case. 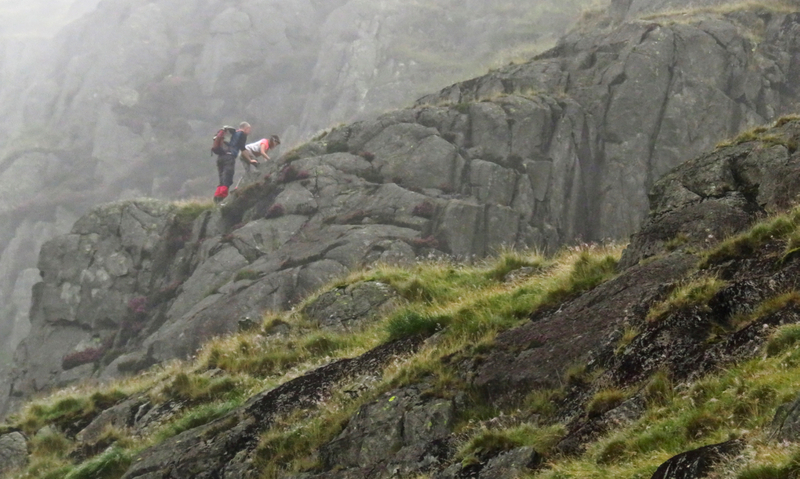 I reckon there’s around 30 of the fells — some 10% of them — which need other arrangements. 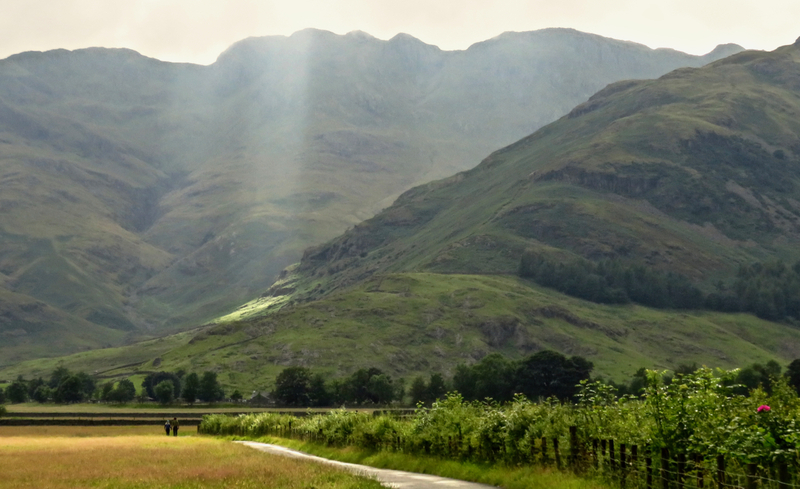 Namely, most of the Western Fells and a good chunk of the Southern, plus the Outlying Fells that dot the same area; Ennerdale, Wasdale and Eskdale. This isn’t entirely due to cuts to services, though the eradication of buses from Gosforth doesn’t help. It’s simply because it takes so long to get right round to West Cumbria that once there, anything other than a short walk is impractical. Walk 103 was done from home but that involved ten hours on trains for a three hour walk, and that’s about the limit. Anything longer and I need either to be starting/finishing at the in-laws’ in Morecambe, or staying over in the Lakes. And it’s the latter solution which we are adopting this week. It’s been a while since we had a holiday here: August 2012 was the last time we spent a sustained period in the Lakes, in Eskdale, during which time I did walk 62, walk 63 and walk 64, all in rather grim weather. That was where I returned today, at the start of the walk. The weather was better in the sense it wasn’t chucking it down with rain, although the cloud cover was still disappointing, particularly bearing in mind how pleasant it had been the day before and how nice it became in the evening, but never mind. 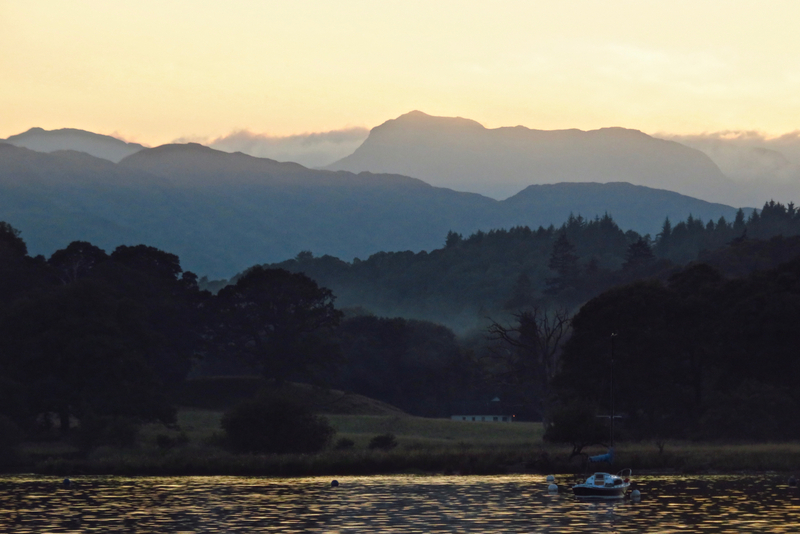 The evening was spent at the YHA in Ambleside, with the family (who came up separately during the day), this is decent accommodation for the price particularly bearing in mind its location right on the waterside with a spectacular view over to the Langdale district (see picture). We are here until Friday morning. The clouds forced a change of plan in that Esk Pike, my original target, was not suitable for this weather, but I had an alternative that still got two more fells bagged and plenty of walking done. Hard Knott and Cold Pike are interesting rather than dramatic, but there’s plenty to discover, particularly with the first fell — not only the Roman fort, which is worth seeing, but Eskdale Needle, surely one of the District’s biggest obelisks. 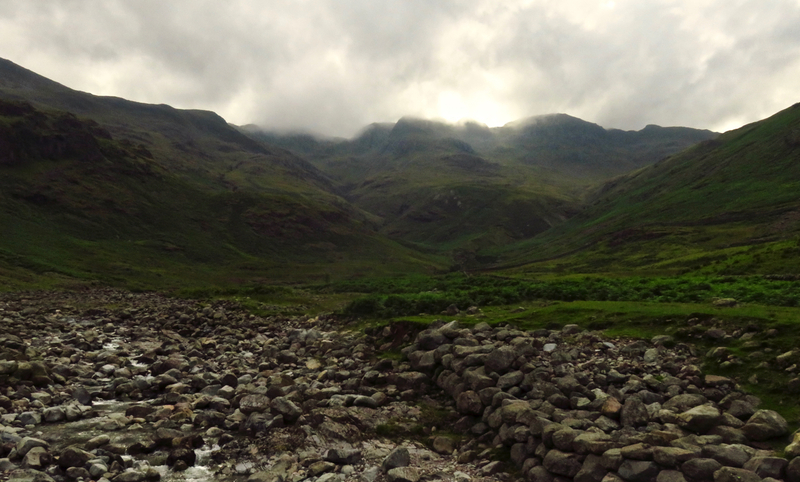 But alas, both these summits can now be added to the list of ‘tops that were not reached in good weather on either visit’ (joining Heron Pike and Green Gable), and so probably I will never experience the classic view of the Scafells from Hard Knott.